Fort Worth is far from the wettest or driest place in the country. We’re not rainy like Seattle or boiling like Phoenix. Still, we’re much closer to Seattle’s level on the rainfall spectrum, so does that mean that we don’t have to worry about drought-tolerant landscaping here in Fort Worth? Even though we’re not in the middle of the desert, it’s still a good idea to plan for having less water to work with. There’s a finite amount of freshwater on Earth, so using less than you need just makes sense. Not only that, but it means using less energy to clean the water and saving you money as well. Sure, rainy years happen, but there will also be those years when we can go for weeks without any precipitation. 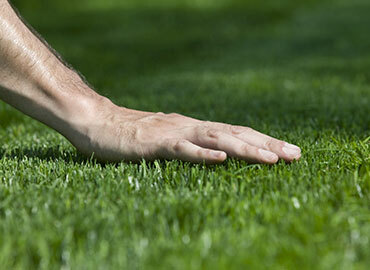 Landscapers should always plan for the worst-case scenario, because the best-case scenario seldom occurs. 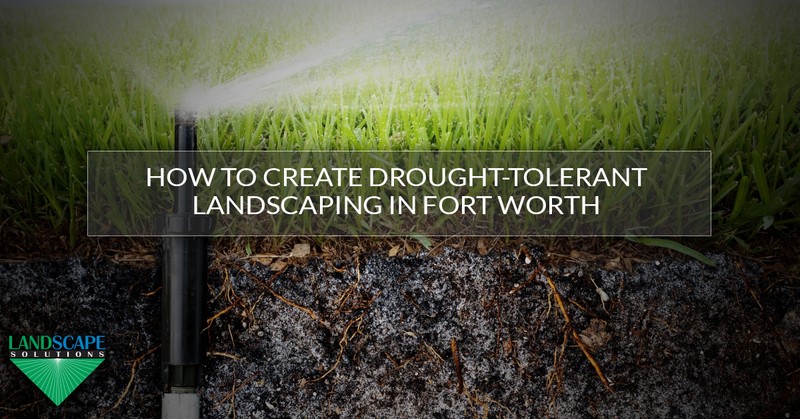 Let’s take a look at how our DFW lawn company can create drought-tolerant landscaping in Fort Worth. Picking the right plants is certainly the right place to start when you’re interested in using less water. This starts with choosing the right grass, because some grasses are exponentially-more drought tolerant than others. Many grasses are exclusively meant to be used in the rainy areas of the country, but artificial watering allows these thirsty blades to be grown anywhere despite the embarrassing amount of water they require. Don’t worry, having a green lawn that doesn’t waste water is possible if you pick the right type of grass in the first place. Of course, it’s not just the grass you have to worry about. Bushes, trees, and groundcover should all be chosen so that they won’t die during a drought or require excessive amounts of water. You can have colorful, lush plants on your property and still save water; just trust in a local landscaper to help you decide what will work best. At Landscape Solutions, one of the services we offer is seasonal color. This means that we can switch out plants at different times of the year, those that your customers might expect to see when they stop by. This means oranges in the fall and yellows in the summer. When choosing these plants, it’s not just the colors that should be considered. Different seasons bring varying levels of moisture to Fort Worth and the surrounding area, which means that the plants should be chosen to be drought tolerant so that they can make the most of the available water. Once you have the right plants in place, it’s then vitally important that you water them properly. Traditional irrigation systems spray the water into the air so that it falls onto the plants and grass. Unfortunately, much of that water evaporates before it can fall down, and if they sprinklers aren’t set correctly, a lot of that water ends up going into the sidewalk and down the gutters. 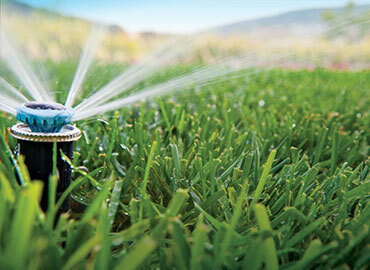 Smart irrigation systems fix that problem in multiple ways. They have increased wind resistance so that there’s less misting, and it also uses a more efficient delivery system so that there’s no runoff. It will shut itself off during certain weather conditions, ensuring you’re not doubling up on the water coming from the sky. A smart irrigation system can actually save you up to 70% in water usage while keeping the same conditions of the lawn. That means you’ll be getting the same great landscaping for less money! Save Water, Save Money, Look Great! When you have a professional landscaper make the decisions about creating a drought-tolerant environment, you’ll save money while still having a great-looking lawn. 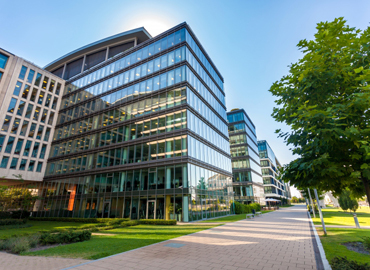 Contact Landscape Solutions to learn more!